I had a great time talking with Danny Ashton, from NeoMam a couple of weeks ago. We discussed SEO, client work, agency life and top tips for someone who wants to give digital marketing a try. 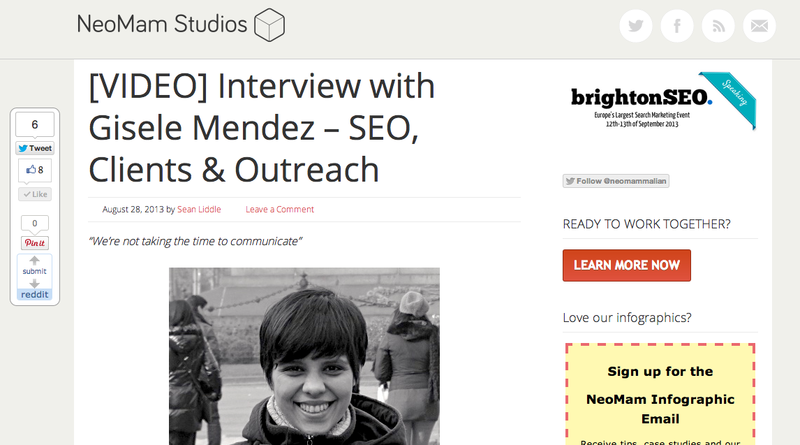 It was an honor to be interviewed by the director of NeoMam Studios, as they are my favorite infographic design agency. Their work has been featured by top publishers around the world such as Forbes, Mashable and Wired, just to mention a few. Lyndon Antcliff was kind enough to invite me to collaborate with his blog and in this case, I wrote an article about the power of having an optimistic outlook when building links and reaching out to link prospects. 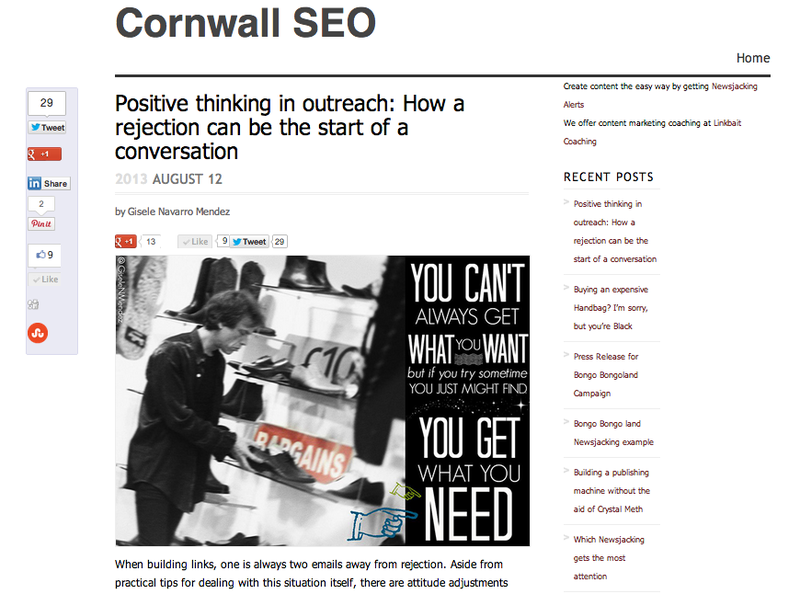 It was such an honor to guest post on Cornwall SEO! In case you’ve never heard of them (which is highly unlikely), they offer link building and social media marketing services, including linkbaiting and infographics, as well as content marketing training through one-to-one coaching with Lyndon himself. 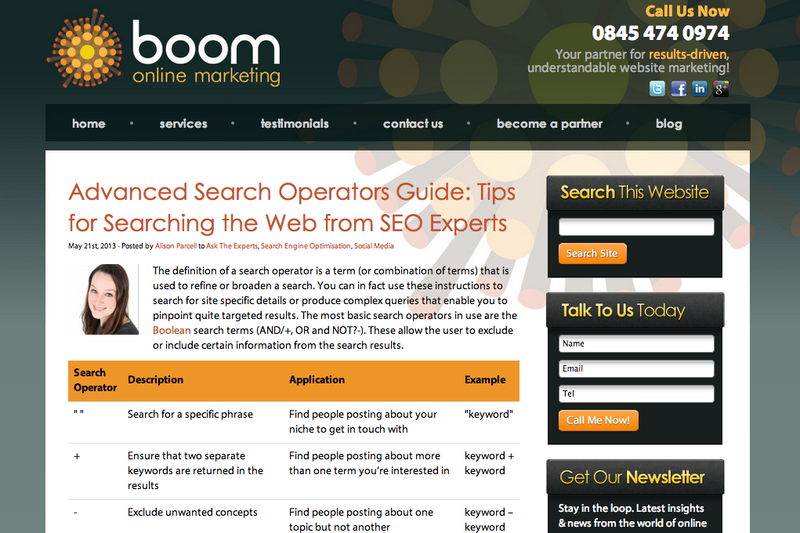 Wayne Barker invited me to collaborate with Boom Online Marketing one more time, in this opportunity I listed those advanced search operators I can’t live without. But I wasn’t the only one who shared top picks, as Wayne invited top SEOs from around the world to participate (among others, Jason Acidre, Rand Fishkin, Julie Joyce, and my personal heroes: Anthony Pensabene and Chris Dyson). If you want to learn everything there is to learn about advanced search operators, go ahead and read this article. My friends at Razoo invited me to work on a three-part series teaching nonprofits how they can optimize their social media profiles for SEO. In this case, I’m sharing six tips for optimizing a Facebook Page for search. 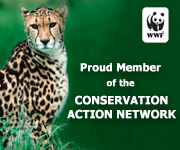 Razoo empowers individual giving and nonprofit fundraising online. I was interviewed by Ryan Gibson for Generation Y Working, a website focusing on remote working in which telecommuters from around the world share their productivity tools and tips. My favorite thing about GenYWorking is that they offer excellent lifestyle design advice toward a better work/life balance. 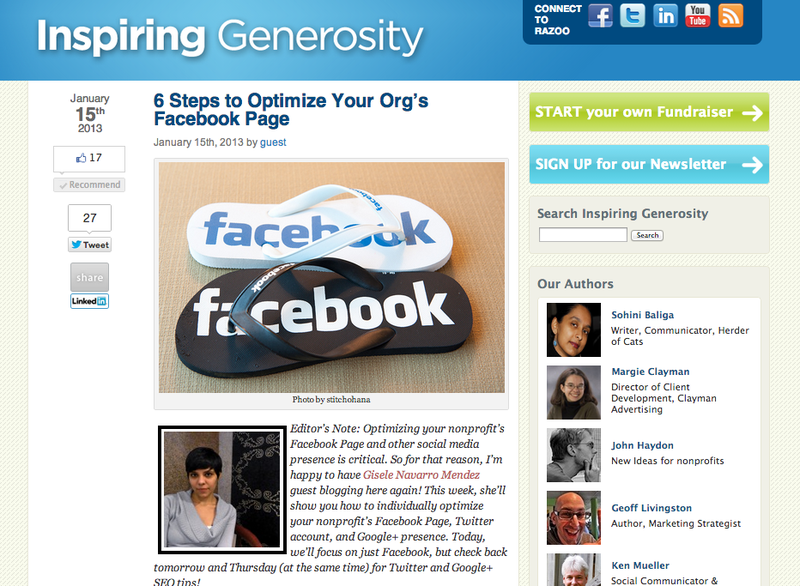 Generation Y Working aims to inspire change in corporations and individuals worldwide through the ethos attached to the gen y tag. 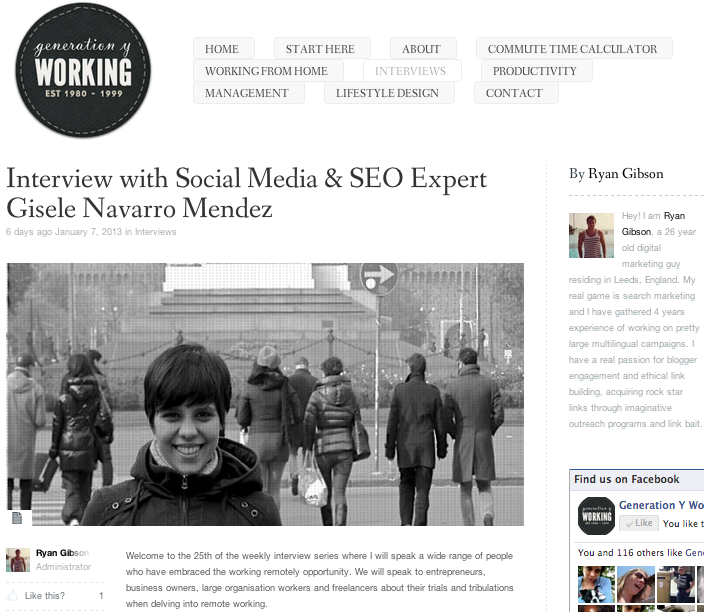 I was interviewed as part of SEOTeky‘s ‘Learning From The Expert’ series, and I had a great time chatting with Jayson Bagio about link building, content creation, social media and the future of SEO. SEOteky is a Manila based inbound marketing agency, they offer custom inbound marketing campaigns for small to medium scale businesses in US, UK, South Africa and the Philippines. 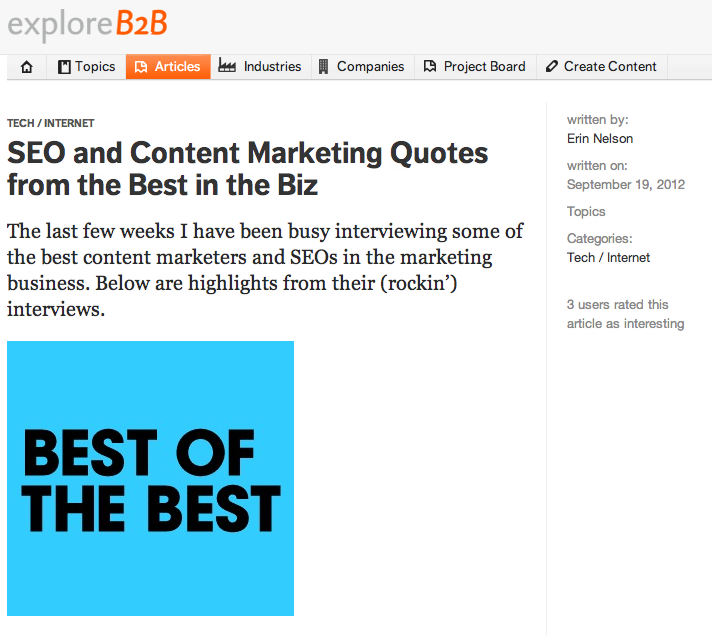 I was included in this piece by Search Engine Journal as one of the experts providing content marketing “best practice” tips, in terms of content strategy, link building and SEO. 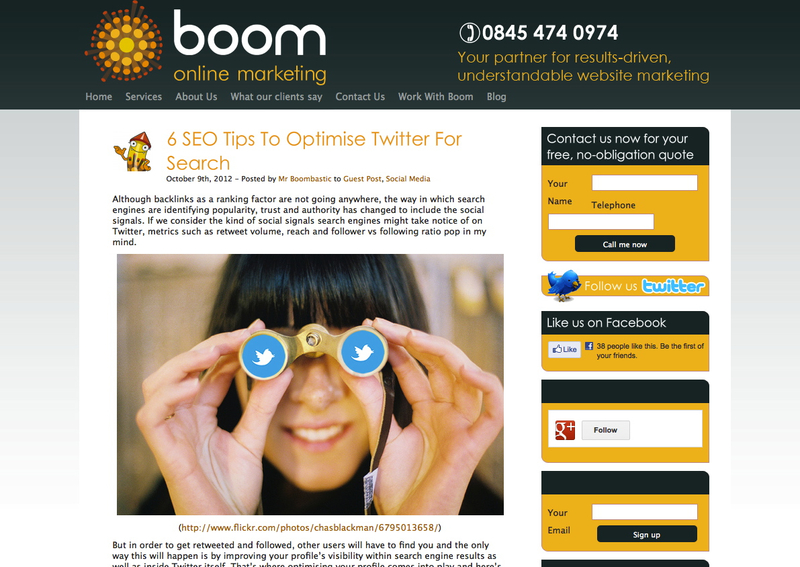 Wayne Barker invited me to guest post on Boom Online Marketing‘s blog and I decided to share a couple of SEO tips for Twitter. In order to get retweeted and followed, other users will have to find you and the only way this will happen is by improving your profile’s visibility. That’s where optimizing your profile comes into play and in this article I shared six simple tips for doing so. Some days I feel that people don’t really get what SEO is all about because they are too busy looking for short-term results, and too lazy to commit to their link building efforts. 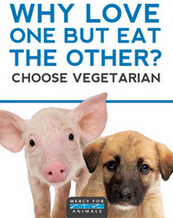 I wrote this article on one of those days. 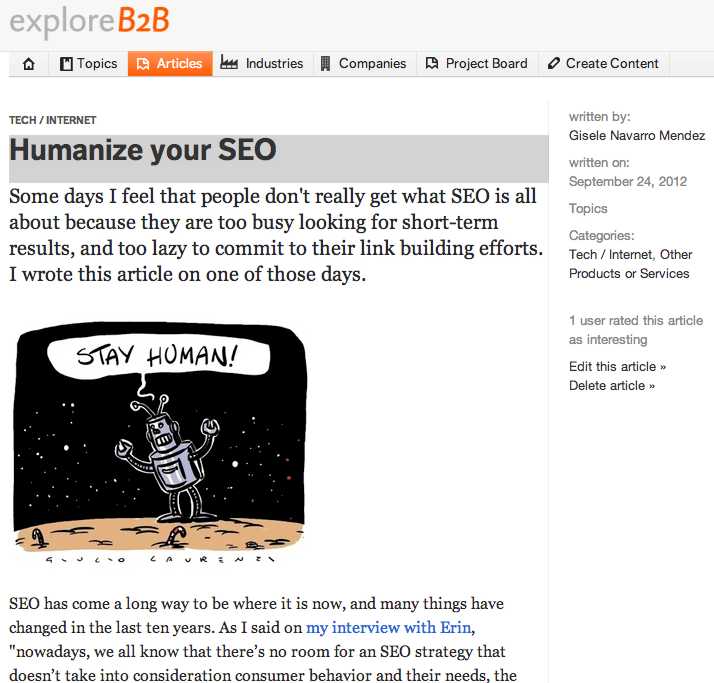 I was included in this amazing quotes mashup on search, SEO and content marketing, along with some of the best content marketers and SEOs in the marketing business: Toprank’s Lee Odden, Customer Hook’s Adam Torkildson, Overit’s Lisa Barone, Search Engine Journal’s Melissa Fach and ExplorerB2B‘s Jonathan Gebauer. 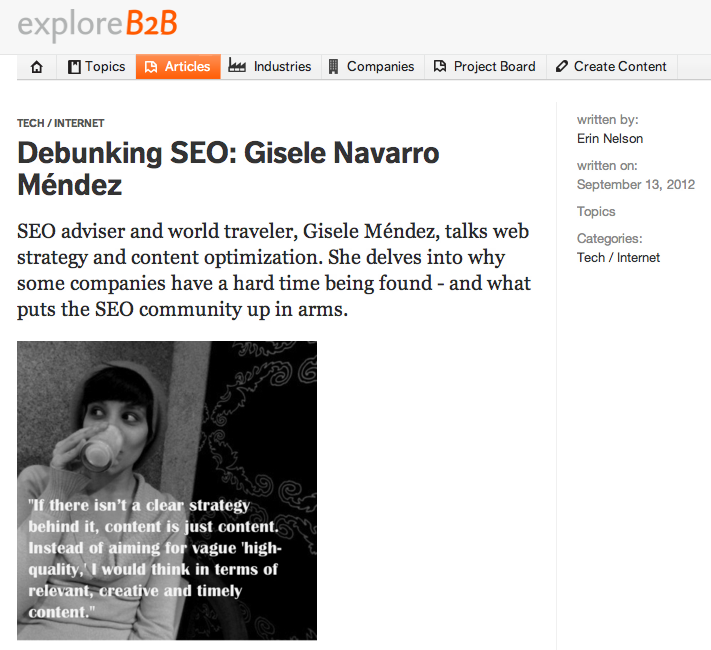 I was interviewed as part of ExploreB2B‘s ‘Debunking SEO’ series, and I had a great time discussing with Erin Nelson about SEO, social media and the importance of a clear content marketing strategy. ExploreB2B is a platform that was developed by Jonathan Gebauer and Susanna Gebauer to change and drastically improve Business to Business communications worldwide. I was invited by Razoo to write guest post for their blog. 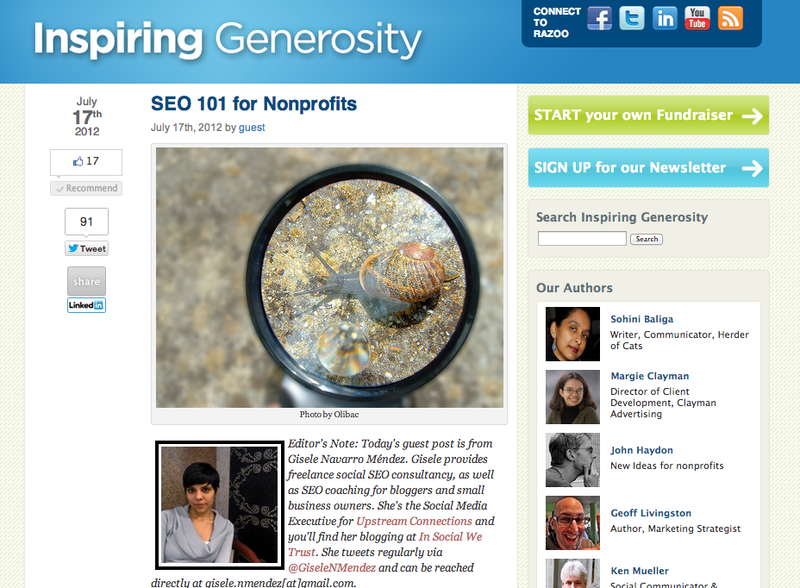 I contributed with an article providing a series of SEO tips for nonprofits. Razoo is a movement of people who want to make generosity a part of everyday life. 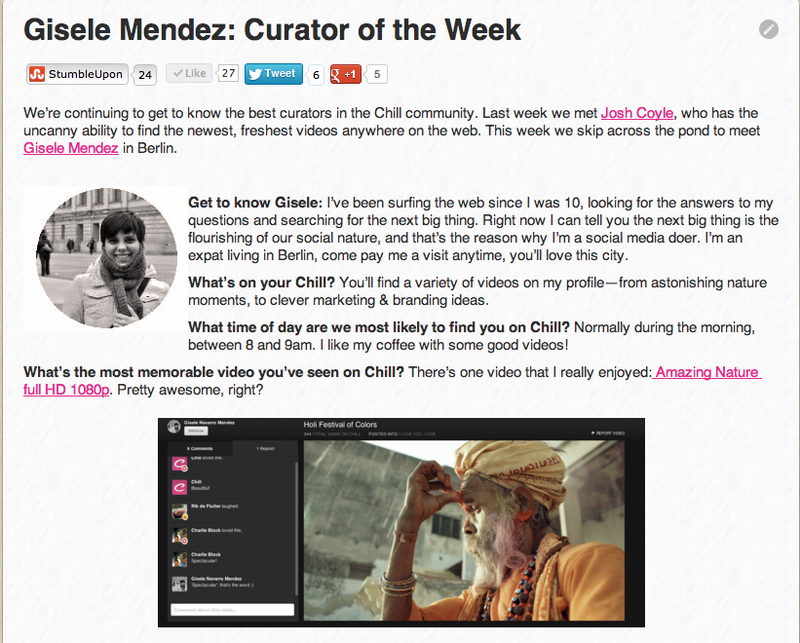 I was included as one of the best curators in the Chill community. In case you haven’t heard of them before, Chill is a platform designed to make video sharing beautiful, simple and contextual.